Hello everyone! My name is Aletta, and I am the latest Wunschpuppe (Wish) Doll by Kidz ‘n’ Cats. My designer is Sonja Hartmann, the founder of With Heart & Soul, and Sonja is a highly skilled artist as she is able to model all the faces of the dolls in the Kidz ‘n’ Cats range as well as design all of our beautiful outfits. 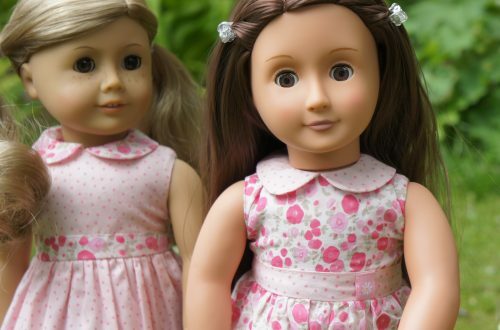 The Wunschpuppe dolls are rather special because in February 2014 many of Petalina’s customers were able to choose the hair and eye colour combinations of their doll. I have golden brown hair and blue eyes and I know I am rather beautiful! I am also modelling the extra white dress that the 300 lucky customers were able to buy – but I arrive in a beautiful pale pink one in exactly the same design. Altogether, there are only 300 Aletta dolls worldwide and every single one of us has been signed and numbered by Sonja on the back of our neck. Today, Cate from Petalina took me out of my box to make sure I was absolutely perfect (I am)!. She also thought I might like to try on the special white dress so here it is ‘Ta dah’! I hope you like it. I love it and I hope I can keep it! Cate was also so impressed with how silky and supple my hair is that she asked to take a photo of it to show you all. She says it feels just like smooth and shiny human hair after a wash and condition and she has never felt doll’s hair like it before. Then Cate asked if she could take some photos of me while I demonstrated how posable the new Kidz ‘n’ Cats dolls are. In olden days the limbs of the Kidz ‘n’ Cats dolls were sometimes difficult to pose and our arms and legs might just ping back to the same position all the time. But not any more! Just look at what I can do! And I’m sure I can do more with just a little bit of help. 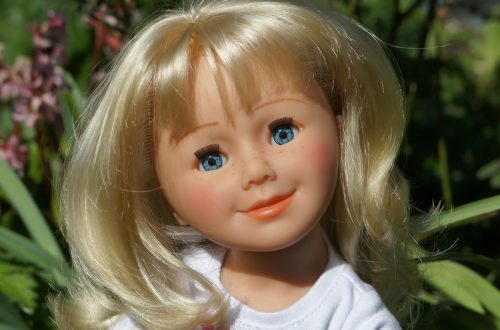 If you think you or your little girl would love to own a doll like me, then you are in luck because Petalina was able to order well beyond the retailers allocated quantity so there are lots of dolls still available (there were in 2014)!